I'm hoping to finish at least one of the above books and bring my 2013 total to 207 books. After that? Beats me. I have some ideas for the ways my reading will change in 2014. Stay tuned! I'm off to cuddle up in a pile of blankets and read. It was 26 below zero when I woke up this morning. There's no way I'm leaving my house today. 207 is amazing. What a wonderful year. Stay warm and have a happy new year!! If you are not ready to review yet, could you thumbs up / thumbs down the titles in your list? Just a thought. I like to know what you think, child! Congrats on an incredible year of reading! I set my goal for 40 and then upped it to 50 about halfway through the year. I'm at 57 right now but might be able to squeeze in one more book between today and tomorrow, we'll see. I'm still just blown away by your total this year! I think I'm going to aim for 175 for 2014, but I don't know if I'll ever break 200. 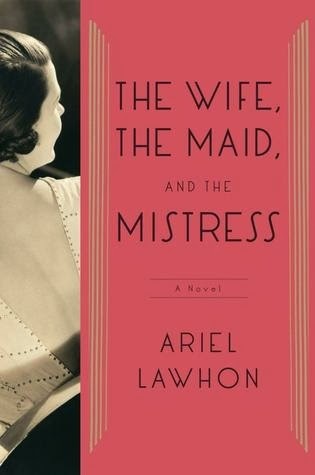 Curious what you'll think of The Wife, The Maid and The Mistress, I have a copy of that one, too. I'll be interested to know what you thought of Jenny Shortridge's newest. I read one of her books WAY back in the day. It was a fun book but not my cup anymore...I think. That are a lot of books!! Good luck with staying warm and get that last book read for this year! I am in complete awe that you read over 200 books this year. HOLY CRAP. Good job girl! How was the new Sue Monk Kidd? Happy new year and stay warm! 26 below, I can't even imagine. So funny that you're reading Flowers in the Attic, I read all those books in high school. I think VC Andrews died at some point and the books just kept coming out... How is it? Thanks for the best of lists, I really want to read Burial Rites! 207? Wow is all I have to say! Looking forward to your thoughts on Flowers in the Attic! I've been seeing it a lot lately but I'm still not sure about it. 200 books! You're amazing! It's really cold here in Montreal too, and perfect for snuggling and reading. 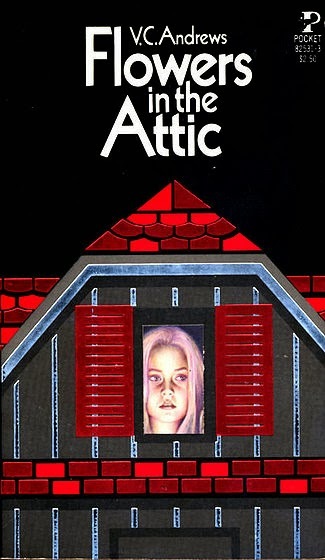 I read Flowers in the Attic years ago. Now that I'm a mom I feel terrible for those poor characters with their weak mother and cruel grandmother. It's a book I never forgot. Looks like you had a great month. It is amazing, the number of books you read. Happy New Year! Happy New Year! I can’t believe you hit 200 books. I strugged with 100! Congrats on being the most voracious reader I know (that I’m aware of).